The COPS Office is excited to announce the winners of the 5th Annual Community Policing in Action Photo Contest! 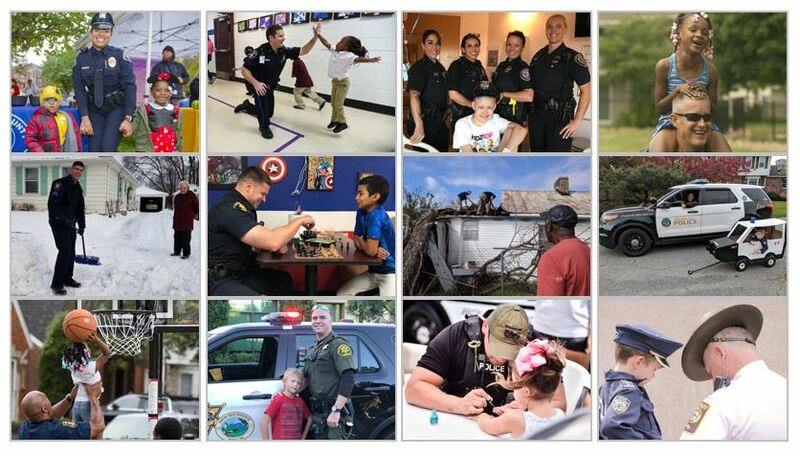 The contest, piloted in 2014, has received widespread support from law enforcement for providing a platform for agencies to share positive interaction with community members. Congratulations to our winners and thank you to all the agencies who participated in this year’s contest. Please check our Facebook and Twitter for updates on this contest or email tellcops@usdoj.gov for questions. Photo must be visibly clear and preferably sized to fit a rectangular header. Photo must include a description of the photo including the date (month and year) the photo was taken and a detailed explanation of why it is an example of community policing in action. Photo must include appropriate photo credit information (for example: Photo courtesy of [name of law enforcement agency]). Photo taken by [name of photographer]). Photo must not endorse or appear to endorse any commercial organization, product or service including, but not limited to, displaying brand names, logos or trademarks on any people, equipment or objects visible in the photo. If the organization, product, or service is featured prominently in the photo, the law enforcement agency should make every attempt to blur the image before submission. Photo must not contain obscene, provocative, defamatory, sexually explicit or otherwise objectionable or inappropriate content. Photos featuring minors should be at a very highly public event focused on children (e.g., a youth outreach summit). Consent by the parent or legal guardian must be given for all photos of minors. Submission must include an original, completed, and signed Photograph Consent, Waiver, and Release form secured by the law enforcement agency from each individual (law enforcement and non-law enforcement) recognizable in the photo or, in the case of a minor, each minor's parent or legal guardian. The Photograph Consent, Waiver, and Release form contains required Privacy Act consent provisions and authorizes the U.S. Department of Justice (DOJ) to use the individual's image for Federal Government purposes. The law enforcement agency must use this Photograph Consent, Waiver, and Release form (unaltered) for the contest. 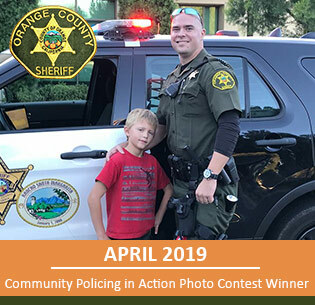 If the law enforcement agency is unable to obtain consent from an individual, his/her image must be blurred out prior to submitting the photo to the contest. Please be advised that the law enforcement agency should consult its own legal counsel for guidance on securing separate permission to use an individual's photographic image for purposes unrelated to this contest (e.g., posting the photo on the law enforcement agency's website). Submission must include an original, completed, and signed Permission and Release form signed by an authorized representative of the law enforcement agency. The Permission and Release certifies that the law enforcement agency secured Photograph Consent, Waiver, and Release forms from all individuals recognizable in the photo and grants DOJ a license to use the photo for Federal Government purposes. The law enforcement agency must use this Permission and Release form (unaltered) for the contest. The COPS Office reserves the right, at its sole discretion, to blur out any images (including branded commercial products and individuals without signed Notice and Consent forms) before using them in COPS Office social media or other communications. The COPS Office may disqualify any submissions that do not fully comply with the contest terms, rules and conditions. Photos must be submitted by email to tellcops@usdoj.gov. Emails must include all submission requirements. Photos will be accepted in JPG, PSD, PNG, or EPS formats only.  It is recommended that photos are sized to fit a rectangular header. Photos taken during the 2018 calendar year are preferred. The law enforcement agency may be asked for supplemental information after the submission deadline. The COPS Office will select twelve (12) winning photos to be showcased as headers on the COPS Office Twitter and Facebook pages. Winning agencies may be featured in an article in the COPS Office e-newsletter, the CP Dispatch, and a COPS Office issued press release. Winners will be notified via email by December 28, 2018. If your law enforcement agency is not selected as a winner for this contest, the COPS Office may archive your photo for future use in official COPS Office communications disseminated to the public. The law enforcement agency retains all existing rights including ownership, if applicable, to any photo submitted to this contest. An authorized representative from the law enforcement agency must complete the Permission and Release form and a signed original must be included with the official contest submission. If the law enforcement agency does not own the copyright to the photo, it confirms that it has obtained the necessary permission from the copyright owner authorizing the U.S. Department of Justice to use, or authorize others to use, the photo in any format for Federal Government purposes. The law enforcement agency confirms that it has obtained the necessary Photograph Consent, Waiver, and Release forms from all individuals, including the parents or legal guardians of minors, who appear in the photo authorizing the U.S. Department of Justice to use their photographic images in any format for Federal Government purposes. The law enforcement agency must be prepared to promptly provide any missing Photograph Consent, Waiver, and Release and Permission and Release forms to the COPS Office upon request. By submitting a photo to this contest, the entrant grants the U.S. Department of Justice a non-exclusive, irrevocable and royalty-free license to use, or authorize others to use, the photo in any format for Federal Government purposes. If the COPS Office uses a photo, proper credit will be given. By submitting a photo to this contest, the law enforcement agency agrees to indemnify, defend and hold harmless the U.S. Department of Justice and its employees, agents or representatives, from any and all liability for any injuries, loss, claim, action, demand or damage of any kind arising from or in connection with this contest including, but not limited to, any third party claim for copyright infringement or a violation of any individual's right to privacy and/or publicity right. The law enforcement agency is solely responsible for ensuring that it has the right to submit the photo that it enters per the contest rules, terms and conditions. Posting contest photos on COPS Office social media or in other formats is intended to provide the public with examples of community policing in action and does not constitute endorsement, recommendation, or favoring by the U.S. Department of Justice of any law enforcement agency, individual, company, product or organization that may be featured in the photo. Q: I am not affiliated with a law enforcement agency. May I submit photos? A: No, only official submissions by state, local, territorial, and tribal law enforcement agencies will be accepted. Q: How many photos can I submit? A: One official submission of one photo only will be accepted from each law enforcement agency. Submissions including more than one photo (including collages) may be disqualified. Q: Can I send the photos through social media? A: Photos must be submitted by email to tellcops@usdoj.gov. Email submission must comply with all requirements outlined in the Contest Rules, Terms, and Conditions. Q: What is the deadline to submit photos? A: Photos must be submitted by 8:00 p.m. EST on Monday, November 5, 2018. Q: Can photos taken prior to 2018 be submitted? A: We strongly encourage that photos submitted for this contest be taken during the 2018 calendar year. Please note that all photos, regardless of when taken, must include original signed (unaltered) Photograph Consent, Waiver, and Release forms from each recognizable individual in the photo or, in the case of minors, each minor's parent or legal guardian. If these forms cannot be obtained because individuals featured in the photo cannot be located or refuse to sign the form, the photos may not be submitted unless recognizable faces are blurred. Q: Can I submit photos of minors? A: Yes, photos of minors may be submitted if they were taken at very highly public events focused on children (e.g., a youth outreach summit) and original signed (unaltered) Photograph Consent, Waiver, and Release forms are obtained by each minor's parent or legal guardian. Highly public events are defined as events open to the media. Q: Where can I find versions of the required Photograph Consent, Waiver, and Release form and the Permission and Release form? Q: Do I have to submit both forms? A: Yes, each photo submission must include one Permission and Release form from the agency and at least one Photograph Consent, Waiver, and Release form for each recognizable individual. Q: Do I have to submit consent forms for public figures? A: Yes, consent forms are required for all persons featured visibly in the photo submission, including public figures. Q: Can previous winners participate and win again? A: Yes, previous law enforcement agency winners can participate in this year’s contest and will be judged based on the selection criteria included in the Contest Rules, Terms, and Conditions. Q: Can I submit a photo that I have previously submitted? A: While we recommend that photos be taken during the 2018 calendar year, we will accept photos taken previously and submitted in prior contests. Q: How will the winning photos be selected? Q: When will I be notified if my photo is selected as a winner? A: All contestants will be notified by December 28, 2018 by email. Q: Is there a cash award or other prize for being selected a winner? A: No, there is no cash award or other prize for this photo contest. Q: Who can I contact if I need additional information? A: Contact the COPS Office Response Center at 800-421-6770 or by email at tellcops@usdoj.gov. For questions regarding the contest, please contact the COPS Office Response Center.